Why Aquaus 360 – Please watch the Aquaus 360 comparison video below to learn how it works and why its unique ergonomic Patented design is so simple and reliable compared to other Bidets and personal hygiene options. ABS or Brass Sprayer – The Patented Aquaus 360 Handheld Bidet is available with an ABS or Brass Sprayer body giving you 2 weight and price options. We chose ABS and Brass because it is an excellent material for Bidet sprayer bodies and plumbing valves. But, it is important to understand that Bidet Sprayers made with Metal or ABS bodies are only safe for use in your home if made with a ceramic disc valve core instead of spring valves like used in kitchen sink sprayers sold as handheld Bidets. What Is ABS – ABS is a blend of polymer resins that creates a super strong, impact resistant, corrosion proof, easily moldable material that is just as strong and reliable as Brass, & Stainless Steel except lightweight, easy to handle and more affordable. In fact, ABS is so strong that we ran the Aquaus 360 ABS Sprayer over 2 times with an 8000-lb. truck and it still sprayed and didn’t leak, as you will see in the Aquaus 360 video below under the Related Video Shorts. The Aquaus 360 Is The Only Handheld Bidet NSF Tested and Approved for Legal Installation In The US & Canada! Precision Rinsing – The Aquaus 360° dual adjustable thumb pressure controls make precision rinsing easy by allowing you to spray a small stream of water to locate the target area, then increase the spray pressure from a soothing and gentle rinse to a full pressure jet spray. The Aquaus 360° spray pattern is also the perfect size and shape for maximum rinsing efficiency and deep cleaning. Not easy to achieve when only using toilet paper that leaves germs and bacteria on your sensitive skin areas that can lead to other health problems and offensive odors. Precision Rinsing Makes Cleaning with Cold Water Quick & Refreshing – The Aquaus 360° precision spray pressure and perfect spray pattern is designed to quickly rinse you squeaky clean in only a few seconds, so rinsing with cold water is quick and refreshing. 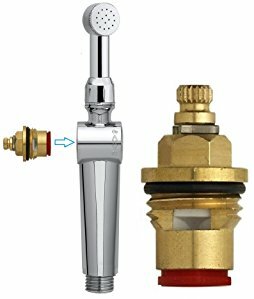 Eliminating the hassle of having to tap into hot water pipes under your sink. Most Flexibility of Uses – The Aquaus 360° is not only perfect for personal hygiene, it is also great for rinsing and cleaning the toilet after you go. Or, for rinsing Cloth Diapers, Bedpans, Potty Seat Bowls, Under Garments, Food Bibs, Muddy Shoes and many more of life’s messy moments, especially if used with the Aquaus SprayMate. RinseWorks is a family owned and operated American company located in Pompano Beach, FL. We have over 25 years’ experience designing and manufacturing state-of-the art specialty-plumbing products in the USA with domestic and global components. Domestic production along with NSF testing, allows us to offer the highest quality plumbing products for reliable, safe and leak free use in your home. In 2011, after selling Hand-held Bidets & Diaper Sprayers for over 15 years with continuous leaking problems because of their push button and spring valve design and listening to our customers’ feedback about how a handheld bidet should be made. We set out on a mission to design a reliable, affordable, and easy-to-use bidet and multi-use sprayer. In 2016, after over 5 years of research and development, we introduce the revolutionary Aquaus 360° Bidet and Multi-Use Sprayer. In Dec. 2017, we were granted a Utility Patent in the US & Canada with International Patents pending. RinseWorks believes the Aquaus 360 is the perfect design and the simplest solution for all natural hygiene. Our mission is to educate everybody about how easy the Aquaus 360 is to use and help the environment. 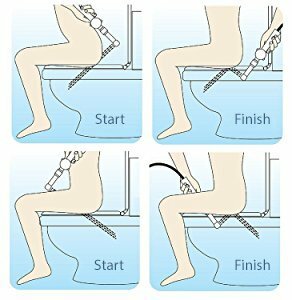 Easy Reach ON / Off Lever In Front – The Aquaus 360 Brass T-Connector is made so the Safety Shut-off valve lever is located in front and extends out 3 inches from the Tconnector so you can easily reach the on / off valve lever while comfortable siting on the toilet. 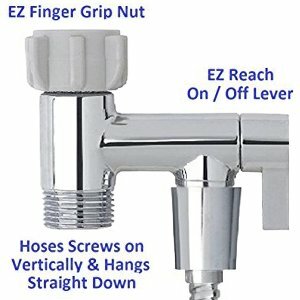 Simple Installation with Easy Grip Anti-Cross-Thread Nut- Brass T-Connector easily screws on standard type Toilets with the finger grip 7/8” Anti-Cross Thread Nut for easy installation without tools or a Plumber. Vertical Hose Connection – Brass T-Connector is designed so the hose screws on VERTICALLY allowing it to hang straight down preventing damage to the hose behind the nut. Like T-Connectors made so the hose connect horizontally and bends down 90º which, can cut the hose at the bend behind the nut, as you will see in the Aquaus 360 Video below under the Related Video Shorts . Don’t Be Fooled into Buying Low Quality Bidet Plumbing Products That Could Leak & Damage Your Home. 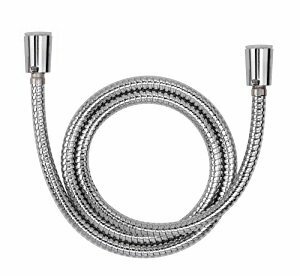 RinseWork’s high-quality Stainless Steel StayFlex hose is specifically designed for use with pressurized handheld bidet sprayers, offering an impressive 270 psi. burst rating, which is over 3 time the average home pressure. Internal super strong polymer hose is infused with a nylon braided mess designed not to inflate and burst under pressure. 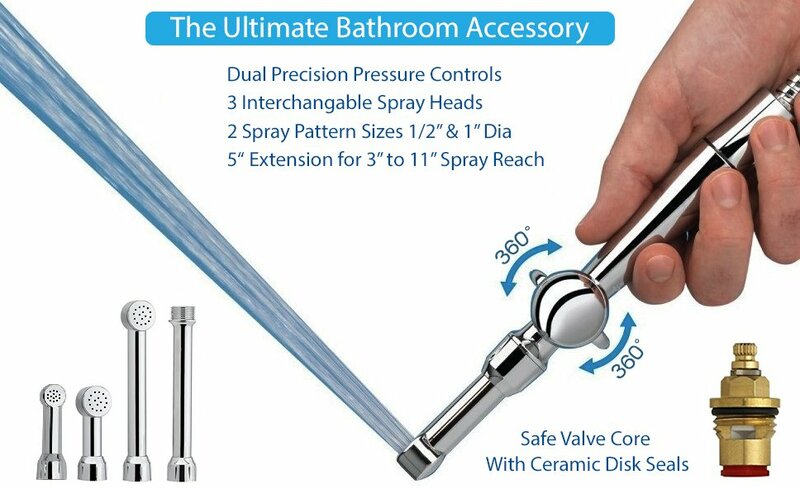 Unlike bidet sprayers that use low quality shower hose or pull out sink sprayer hoses made with an inflatable soft rubber tubing not designed to be pressurized, causing them to leak and become stiff and hard to bend under pressure. The Aquaus 360° internal brass valve cartridge with ceramic disc seals is one of the most reliable and long lasting type valves made with a life span of over 10 years. Ceramic disc valve cartridges are also used in all kitchen and bath faucets because of their reliable and long life span. Plus, if a valve cartridge ever did have a problem they can easily be replaced instead of having to purchase a new sprayer. What makes the Aquaus 360 truly unique is the 3 interchangeable spray heads, 5-inch extension and 2 spray pattern sizes that allows you to extend your spray reach 3 to 11 inches keeping your hand clean & dry as you rinse. 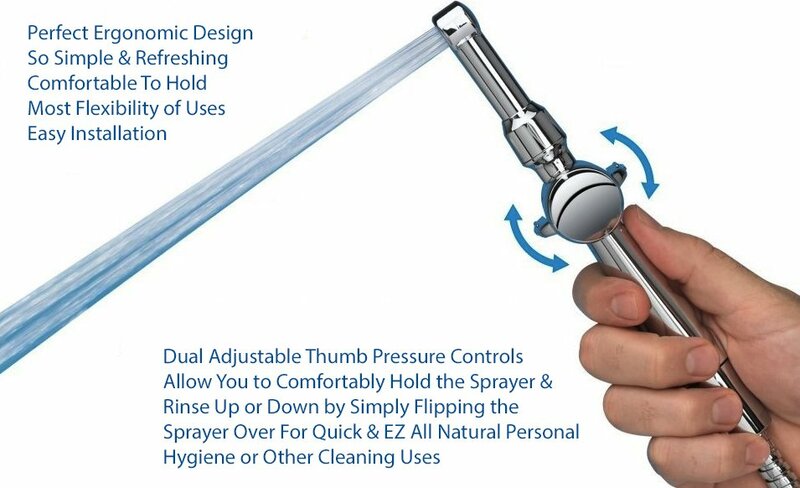 Unlike kitchen sink sprayers sold as a bidet where the spray button is on the back of the spray head making them difficult to hold with no spray reach. 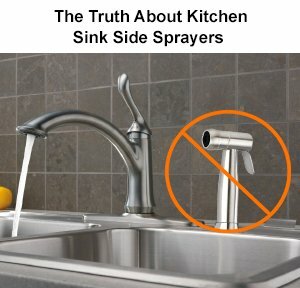 Don’t Be Fooled – in believing low cost kitchen sink sprayers sold as handheld Bidets made with a Stainless Steel, Brass or ABS body are high quality sprayers, because they are not. The Truth Is – It is not what the sprayer body is made of that makes a bidet sprayer or any sprayer high quality and safe for use in your home. automatically be turned off when the kitchen sink faucet is turned off. The Problem with Spring Valve Sprayers – is they work by a small spring pushing a soft rubber seal closed. So, the only part inside a spring valve sprayer holding back the water pressure from leaking is a small spring pushing a soft rubber seal closed. The soft rubber seals used in spring valves are also susceptible to being damaged by sediment and dirt particles in the water, causing them to leak. Or, the spring weakens over time allowing the water pressure to push the soft rubber seal open, especially if left under pressure. 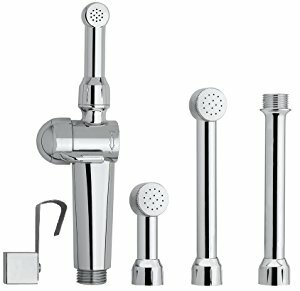 with a high-quality brass valve cartridge and ceramic disc seals, same as used in bathroom and kitchen sink faucets that are NSF tested and approved to the Uniform Plumbing Code and includes 2 back-flows protectors. protectors for legal installation on potable water to prevent contaminating the public drinking water supplies if a backflow event occurs. What makes the Aquaus 360 the perfect ergonomic design for quick and easy personal hygiene is the Patented Dual Pressure Control that allows you to hold the sprayer and comfortably adjust the pressure from both sides of the sprayer. Allowing you can easily rinse up or down by simply flipping the sprayer over. No other Bidet sprayer is more comfortable to hold and maneuver under your bottom areas as the Aquaus. The new ergonomic design, combined with the perfect size spray pattern allows you to rinse your front and back bottom areas quickly and neatly, keeping your hand clean and dry as you rinse. For hundreds of years, people around the world have been using Bidets because Rinsing Works. But, the problem and question has always been which, Bidet is the best design for all body sizes, with the most flexibility of uses and reliability for safe use in your home. The Patented Aquaus 360’s is the answer. 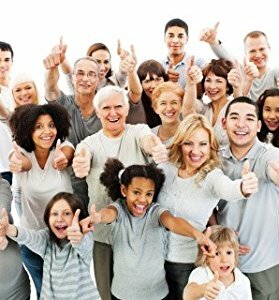 It has changed thousands of lives and will greatly improve your level of personal hygiene, reducing the use of toilet paper and eliminating the need for environmentally unfriendly chemically filled wet wipes that are clogging up the sewer systems in many major cities in the US and around world. Rinsing with fresh running water with the easy to use and hold Aquaus 360° Bidet is the perfect solution for all natural personal hygiene because Rinsing Works and wiping doesn’t.